Vietzke Trenchless is committed to helping you achieve peace of mind at the best value. Call us now to discuss your needs and schedule a free estimate. Established in 1948, our commitment to quality work and service is still fresh as the first day we started and we put our decades of plumbing knowledge at your service. The staff at Vietzke Trenchless is trained in the latest plumbing technology, including the most recent trenchless solutions that will be much more affordable and quicker to complete than the old methods of digging out the pipes. For us, you are not just another client; you are part of the team, and we will explain to you everything we do, from start to finish. Forget about surprises, hidden costs, or wondering if the repairs were really necessary. If you have a question, don’t hesitate to ask. There is no way to know when something will go wrong with your plumbing. But whenever it does, just give us a call. We are available 24/7, every day of the week. Have you been searching for a reliable sewer and water line service company in Spokane, WA? We make the choice simple. Vietzke Trenchless is committed to helping you achieve peace of mind at the best value. Call us now at 509-244-9607 to discuss your needs and schedule a free estimate. Don’t let a pending sewer or water line problem keep you from accomplishing your most important tasks. Let Vietzke Trenchless handle your heavy duty plumbing line issues. We are Spokane’s most experienced trenchless technology professionals focused on delivering quality service that is tailored to your particular needs. When you work with us, you can expect nothing short of exceptional service. See what some of our customers have been saying about their experience with us here. Having a toilet that won’t flush, or a sink that won’t drain, are problems you should not have to suffer. As soon as you notice anything wrong with your plumbing, you should contact us and let us help you. Call us or complete our service form online for immediate help. We work around your schedule and let you pick the most convenient time. Enjoy flat rate pricing and long term peace of mind after we complete the job! 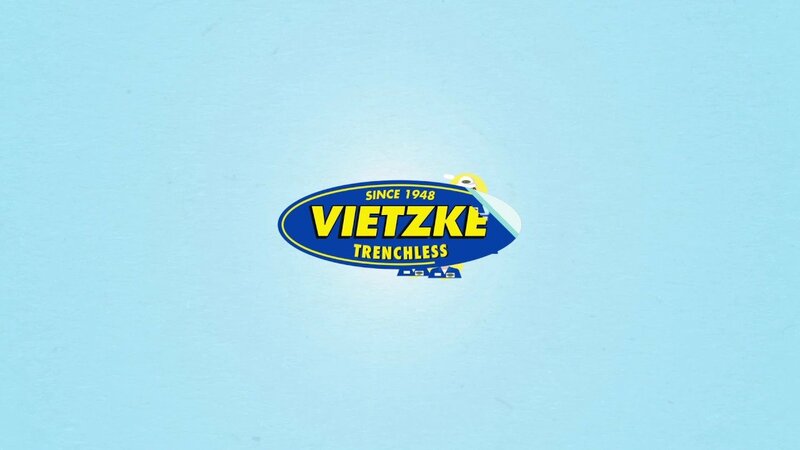 Vietzke Trenchless was established in 1948, and our original commitment to quality work and service still stands. Now led by Paul Vietzke, our team continues to deliver top-rated services and solutions that meet your needs and exceed your expectations. From the first phone call to the last handshake, you receive highly personalized service that gets to the source of your problem. While the materials and methods we use have evolved through the decades to keep up with the latest technology, we still hold true to high customer service standards. Every member of our team works with a customer-first mindset and values your safety and comfort. This is what sets us apart from other service contractors. Our level of personalized service gives our customers the confidence that the job will be completed to the highest standards. You won’t find us completing a hasty job and driving off. We take the time to explain our process with you before the job, and make sure all of your questions and concerns are addressed before we leave the worksite. By providing a truly comprehensive service that covers your specific needs and preferences, we are able to complete the job to your satisfaction. This leaves our customers with better peace of mind and the confidence that their water and sewer lines are guaranteed to work efficiently for the long term. We do not take shortcuts or cut corners to save a few dollars. All of the materials we use are of top quality to ensure that you receive the level of service you deserve. This customer-centered approach means your needs are recognized and met. You are involved in the project every step of the way, and we do not make any changes without first alerting you and letting you know how it will affect the bottom line. Why use trenchless services? Not only is it more time efficient, but it also helps preserve your surrounding landscaping. Now you can replace or repair underground piping without worrying about your driveway, yard, or sidewalk getting destroyed. Our advanced trenchless methods are designed to make sure your property is kept in good shape, with as little damage incurred as possible. Once the project is complete, you can start enjoying the benefits of an efficient sewer or water line without spending any extra time repairing your landscaping. What’s great about working with Vietzke Trenchless is the fully transparent process. You receive an upfront quote, honest recommendations, and a reasonable expectation of how the service will turn out. We do not overpromise and underdeliver. Every step of the process is discussed in detail with you, from the products and materials used to the final bill. We do not start the work until you are satisfied with the plan of action, and we do not consider the job done until you are completely happy with the results. There is no pushy upselling, no hidden charges, and no gimmicks. We focus on providing straightforward service that you can trust for years to come.